BARLEY - Barley is a great source of dietary fiber and actually contains both soluble and insoluble fiber. It is extremely nutritious and provides energy for the body.It reduces the inflammation of the stomach and expels toxins from the body.Barley is a must in the diet of health conscious people and it would make perfect sense to incorporate this tasty food item in our day-to-day eating patterns. Wash and soak the rice along with barley for 3 to 4 hrs. Wash and soak the urad dal for 3 to 4 hrs. First grind urad dal along with fenugreek.While grinding keep sprinkling water at regular intervals. The consistency of the batter should be very soft and fluffy. Remove the batter from the grinder and keep it aside. Now grind the rice with barley to a smooth paste. Next day the batter would have raised 2 inches high with tiny bubbles. Pour a laddleful of batter in idli tray and steam cook for 10 -15 mins. 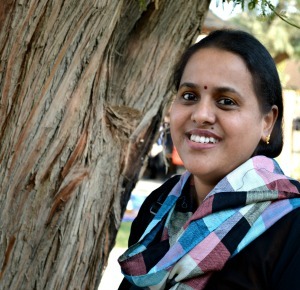 The quality of urad dal, and the way you grind it, are the two most important things to be noted . Don't add too much of water while grinding both urad dal and rice, always sprinkle water at regular intervals. Don't remove the idli's immediately , from the moulds, wait for few minutes and then scoop out. Dilute the batter, and start preparing dosa's. Both idli's and Dosa's tasted very well. super health idli with tomato chutney SS I like it very much. healthy indulgence gets my thumbs-up ! healthy delicious and nutritious idli. Your idly looks so soft and its healthy too! healthy nutritious recipe .shall try this . Very healthy one and new to me. 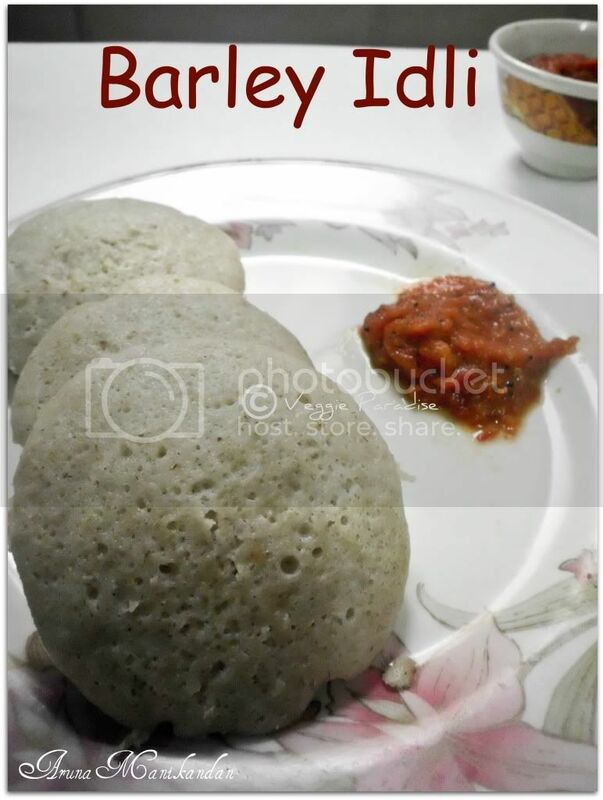 wow... delicious recipe... very healthy..
healthy and tasty idlis. Nice combo. very healthy indeed. I have never tried any other idlies than our usual stuff!! It is time to learn something new.Simply superb. very healthy and nutritious idli..nice recipe. mmmm... Very healthy and nutritious too. Idli looks soft, yummy and very healthy. Lovely presentation. 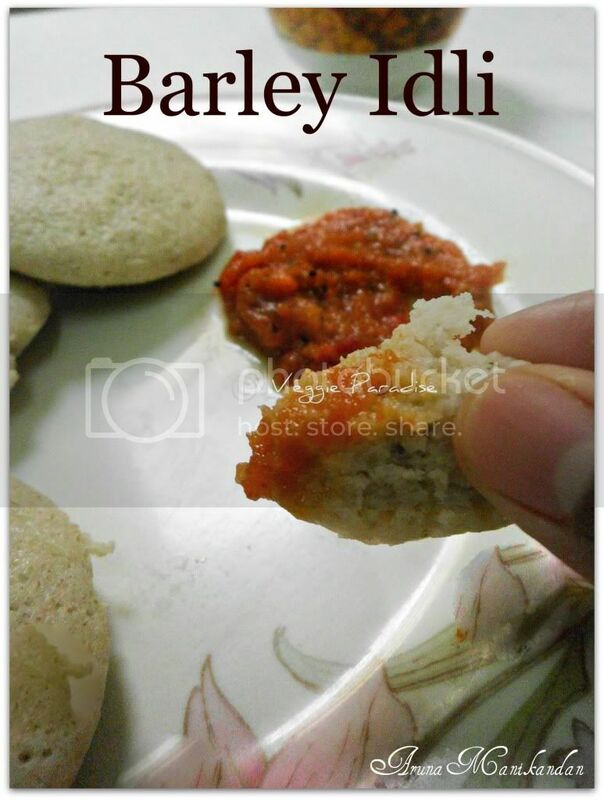 wow the idly looks delicious....and healthy tooo....must try this idly ...book marked.. 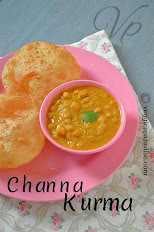 Very healthy breakfast option....nice twist to the regular idly! Please visit my blog and collect your award! A very useful blog is yours. Aruna I made this barley Idli it came out well. thanks for sharing..
That looks lovely and healthy. I wud love to try this! Idly looks soft & yummy.. Thxs for the recipe. will try .. Thxs for visiting my site & ur lovely comment.. Healthy Try Dear. Luvly Luking Idlis. Awesome Breakfast/Dinner recipe!